The Allen-Bradley PLC-5 battery indicator (BATT) warns you when the battery has gone below the low threshold. This BATT LED indicator first lights when the processor has 10 days worth of battery back-up power remaining, regardless of whether the processor is powered or not. This article focus on how to determine if the PLC-5 battery has failed and how to replace it. I will also outline what the LED looks like when the PLC-5 battery has failed. Here are some key points about the PLC-5 battery. “BATT” LED turns solid red when the battery voltage is below the low threshold. See my YouTube below, which demonstrates the following points. The battery connects directly to the PLC-5 CPU board and helps to retain important system settings and information such as system time, date, PLC configuration, PLC logic (program) and setpoints while the PLC-5 is turned off (remove 120VAC power supply). If your battery is bad (below low threshold voltage), you will lose all these important information (including PLC logics and setpoints) when the PLC experience power outage. Table below shows average battery life (table is from Classic 1785 PLC-5 Programmable Controllers, page 2-13) when power is not applied to the PLC-5. Yes. 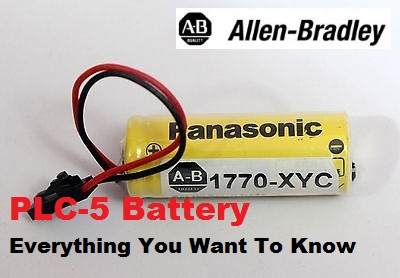 Allen-Bradley PLC-5 battery can be changed when the power is still applied to the PLC. The YouTube vilog below demonstrates changing of PLC battery when the power is applied. This vilog is also designed to show that when you have a bad battery or no battery attached to PLC-5, the “BATT” LED will get lighted. And when a good battery is connected, The “BATT” LED will be turned off. The demo was done on a Allen-Bradley PLC-5/20E Programmable Controller. Check out my YouTube video below. After market 3 VDC battery can be used for PLC-5 but preferably it is Lithium type. My recommendation is to get one with the leads already factory soldered on. 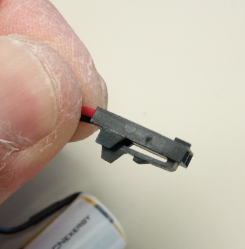 This will save you a lot of hassle of soldering and finding the connecting clip (to the PLC). One word of caution is that it is NOT recommended to solder the leads yourself, especially if you are a beginners at soldering. As there is a serious danger of overheating which can damage the internal barriers and cause excessive internal leakage, which can quickly cascade into a damaged battery, or just about ready to explode. If you have not much of a choice, I would shrink wrap it rather than solder the leads. 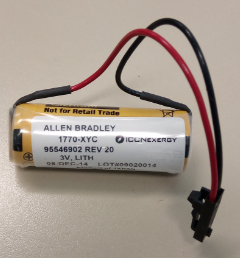 I don’t work for Allen-Bradley nor Rockwell, and I am not saying you cannot use after market batteries but I would exercise extra cautious when using after market batteries. Based on my past experiences, some vendors have shipped me batteries with wrong connectors (not for PLC-5) or with no lead attached to it. Some even shipped me incorrect battery. 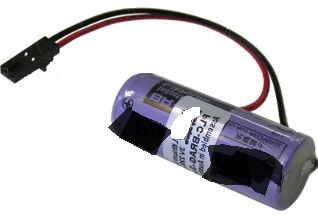 Below is one example of after market battery for PLC-5 with shrink wrapped leads. The recommended battery catalog number is as shown in table below (table is from Classic 1785 PLC-5 Programmable Controllers, page 2-13). 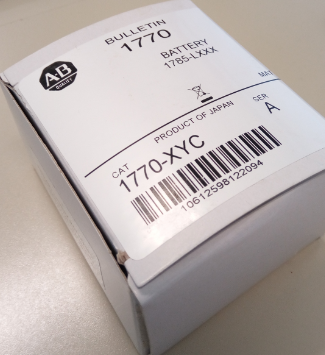 The battery catalog number used in the above YouTube video is “1770-XYC”. See images below.